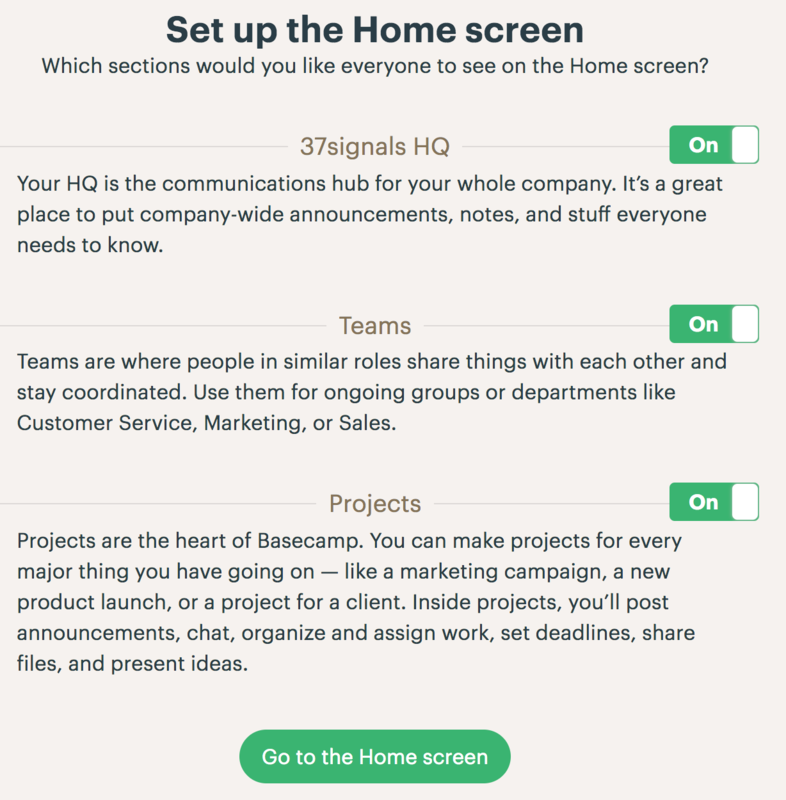 Don't need to use Teams, Projects, or Company HQ sections? Feel free to adjust what shows up on the Home page for everyone. Once you're in Adminland, you'll select the Set up what's shown on the home screen link. There you'll see a list of the different home screen sections with on/off buttons for each. Hiding a section doesn't delete anything, just hides it from everyone.